Develop your own web applications or use the out-of-the-box cloud reporting solution combit Report Server (included in the Enterprise Edition). The Report Server saves you significant development time. It gives you platform-independent server-based reporting and requires no programming. Cloud reporting without effort. You can install and start using the Report Server right away; your application accesses it directly, and adding fully configured data sources and reports is simple. If you purchase the Enterprise Edition, you may distribute the Report Server with your List & Label application to your customers free of charge as your app’s cloud reporting solution. You can launch server-based solutions – supporting all leading browsers on any device – much faster. With the Web Designer, you can integrate desktop-publishing-style functionality into your web and cloud application or you use the lightweight Ad-hoc Designer. 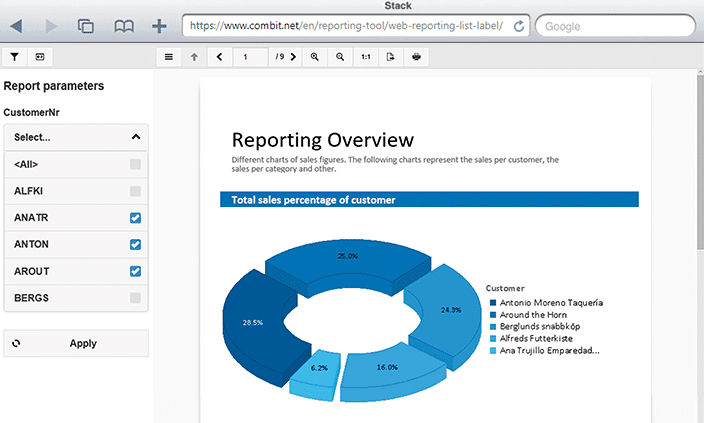 With the HTML5 Viewer you can view your reports quickly and easily. Hassle free cloud reporting! With the Web Designer you are no longer dependent on your browser. The remote data provider enables direct and automatic access to server-side data sources. You can integrate desktop-publishing-style functionality into your cloud reporting. Why not check out the reporting tool online demo now. 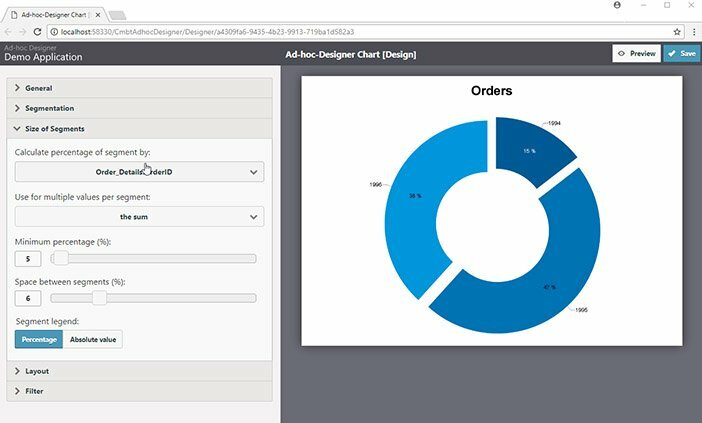 The completely browser-based Ad-hoc Designer is intuitive and offers many report design capabilities. Very little training is required to design most types of reports. 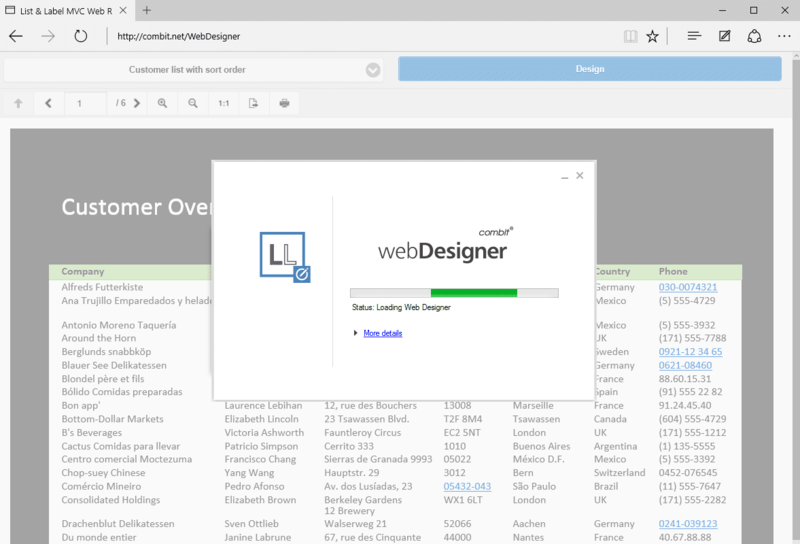 And if your users want a wider range of features, they can simply switch to the locally installed Windows-based Web Designer. The HTML5 Viewer displays reports in your browser. You can show or hide tables, sort data according to your needs, apply filters via report parameters, and drill down to a greater level of detail. In other words, the viewer offers you nearly all of the regular preview’s features.